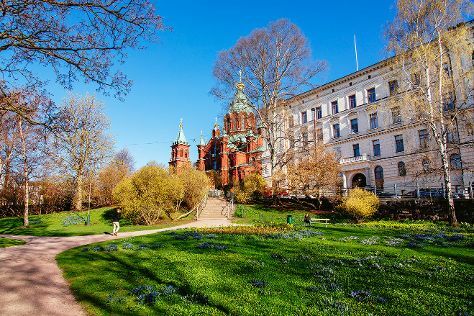 Start off your visit on the 15th (Thu): take a stroll through Katajanokka, hunt for treasures at Hakaniemi Market, then get a dose of the wild on a nature and wildlife tour, and finally take an in-depth tour of Seurasaari Island and Open-Air Museum. To find other places to visit, more things to do, photos, and more tourist information, read Helsinki visit planner . If you are flying in from Spain, the closest major airport is Helsinki Vantaa Airport. In August, daily temperatures in Helsinki can reach 24°C, while at night they dip to 13°C. Cap off your sightseeing on the 15th (Thu) early enough to travel back home.